Dahlings…it’s showtime! Now’s the perfect time to watch the original “The Incredibles” before “The Incredibles 2” comes out in June. 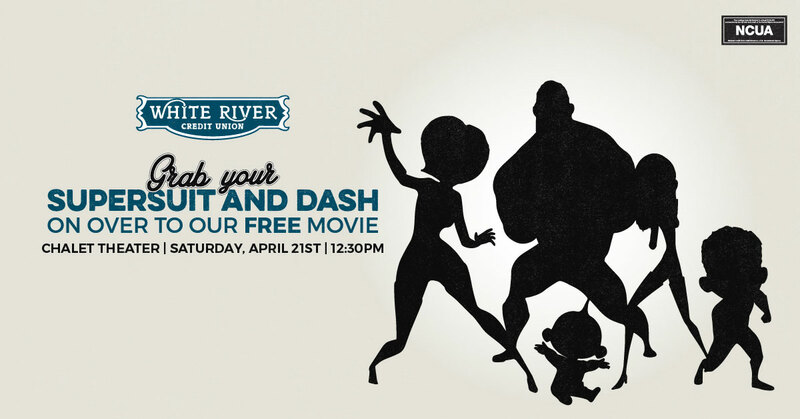 Grab your own supersuit and come dressed as your favorite superhero. Our own stretchy ElastiRaccoon, Rocky, will be collecting toys for our 2018 Holiday Toy Drive. These toys will be stored until the holidays then given to families in need in our community. Everyone who donates will be given a token for FREE small popcorn.